BBQ and a Bike Ride – a Southern Island Adventure! 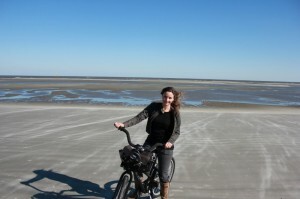 Annette White visited us recently, and she nixed the idea of R&R on her free time, opting instead for a beach bike ride. She also walked a block away from the resort to the scrumptious Beachcomber BBQ for dinner one night – complete with red wine in a plastic cup! This entry was posted on Wednesday, December 5th, 2012 at 10:34 am	and is filed under Area Events and Info. You can follow any responses to this entry through the RSS 2.0 feed. Responses are currently closed, but you can trackback from your own site.